Just for the record, I’m a teetotaler. And my reasons are personal, not biblical. Although I grew up in a church that did not approve of drinking at all, I’m not sure a case can be made for that position. Even in Scripture wine is appropriate for both celebration and health. And anybody who tries to convince me that Jesus turned water into grape juice is on a fool’s errand. My personal reasons have more to do with the devastation of alcohol on my extended family—alcoholic grandparents, broken families and two fatal accidents. I spent one summer during college with my grandfather who was suffering from delirium tremens when he misused his medications from the VA to treat his alcoholism. It’s not pretty. So I chose a long time ago not to go down that road. Not even by a single beer. But it’s not a standard I extend to others. I feel quite differently about drunkenness, however. New numbers from the Center for Disease Control indicate 1 in 6 adults in the United States binge drink, usually 4 times per month, and consume an average of 8 drinks per occasion. The CDC defines binge drinking as more than four or five drinks on an occasion and says 90% of all alcohol consumed by young people is consumed in this way, contributing to traffic deaths, domestic violence, unplanned pregnancy, venereal disease and, of course, alcoholism. Frankly, the degree to which even Christian young people have embraced alcohol as integral to their life style is a cause for concern if not alarm. No wonder the Apostle Paul said not to be drunk with wine but filled with the Holy Spirit. Seriously, anyone who says a few drinks won’t affect their moral judgment has already begun to rationalize debauchery. And any Christian who first seeks solace or good cheer in a few beers has forgotten how and why to pray. Who has woe? Who has sorrow? Who has strife? Who has complaining? Who has wounds without cause? Who has redness of eyes? Those who tarry long over wine; those who go to try mixed wine. Do not look at wine when it is red, when it sparkles in the cup and goes down smoothly. In the end it bites like a serpent and stings like an adder. Your eyes will see strange things, and your heart utter perverse things. 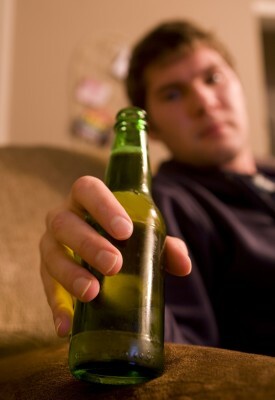 Binge drinking is not just a party game. Or a way to spend a lonely evening. It is an evil by which thoughtful people lose their judgment, their coordination and their reputations. I am so disappointed in the U.S. with how the whole alcohol restraint issues are handled from almost any perspective. I was brought up with alcohol in the house and saw what the consequences of unrestrained drinking can produce. There were only a few select times that stood out, but did those experiences ever show their ugly side. I never had understood all the problems people had with it. I actually feel the alcohol unveils the underlying personality traits of the ones intoxicated, something well worth knowing later when things seem to go awry. Many years ago as a young lad I myself experienced the debauchery of alcohol one time. I did not know what I had done, but many close to me at the time have yet to tell me what I had done that night. I determined that that would never happen again! So help me God it never will either! Having spent these last three years in Europe, I have observed alcohol consumption among Europeans. There are the drunkards and homeless just like in the U.S. It is something that is common to mankind from the biblical days of the Old Testament and will continue until the end has come. Yet abusive alcohol use is not very visible here. Since many alcohol products are produced here, children grow up with its usage as a part of their daily routine. The serving of alcohol in public arenas is acceptable at a much younger age than in the States, but being drunk is embarrassing and is not considered a right of passage into adulthood. I have also seen on occasion, complete abstinence as a detriment too. Some individuals handle alcohol consumption in a pharisaical way by reminding others that they have not put a drop to their lips, not even for communion. I highly respect it, until mentioned numerous times, as if expecting a honorary badge. Abstinence is honorable and it has been good for me too. 2 Peter 3:14 Wherefore, beloved, seeing that ye look for such things, be diligent that ye may be found of him in peace, without spot, and blameless.15 And account that the longsuffering of our Lord is salvation; even as our beloved brother Paul also according to the wisdom given unto him hath written unto you;16 As also in all his epistles, speaking in them of these things; in which are some things hard to be understood, which they that are unlearned and unstable wrest, as they do also the other scriptures, unto their own destruction.17 Ye therefore, beloved, seeing ye know these things before, beware lest ye also, being led away with the error of the wicked, fall from your own stedfastness. Yes, as a resident of Massachusetts–recently ranked the #1 state for binge drinking 😦 –I too find this trend disturbing. Even if the Christians aren’t routinely binging (and some are) they do sometimes abuse alcohol, and foolishly talk about it/post photos on Facebook. Many of these young people are underage drinkers who have picked up the habit at college, even Christian colleges, in violation of campus codes-of-conduct. As someone who writes and teaches about biblical sexual integrity I am painfully aware of numerous studies linking alcohol & teen sexual debut. . . but the research simply affirms what I’ve observed from working for decades with clients at the Pregnancy Care Center. Looks like I’ll be involved in this ministry for a looooong time. Thanks Dr. Metts for your balanced and biblical approach to drinking wine vs. drunkenness.